Moving onto Pampering with some Candles lit because who doesn't love candles!? It's time for some Facemasks and Nail Painting. Put on your favourite Music and have a little dance or just have a sing song while hanging up every set of Fairylights you own pretty much anywhere and everywhere. Another thing you could also do would be to play some Board Games because lets be honest we all secretly love winning a game of monopoly!! Finally when it's time to go to bed (at 3am) put on an Eyemask, grab some cushions and throws and cuddle up onto the bed/sofa/chair/floor wherever it may be and fall asleep! What are your essentials for a Girls Night In? 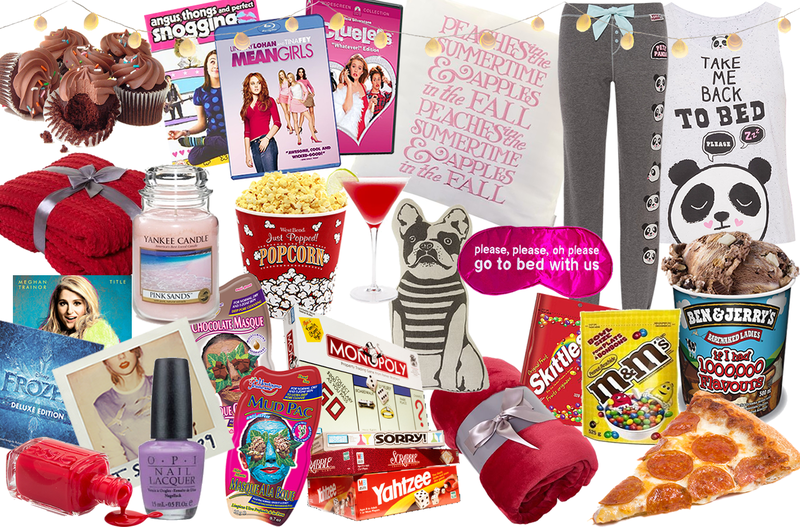 This is the perfect girls night in list. My essentials for a girls night in would be good food, good company and like you say cosy pyjamas! This is such a cozy post! It made me really want to have a girls night in, i haven't had one in a while! I love mean girls, but clueless is one of my faves! Great post, you definitely mentioned all the essentials!